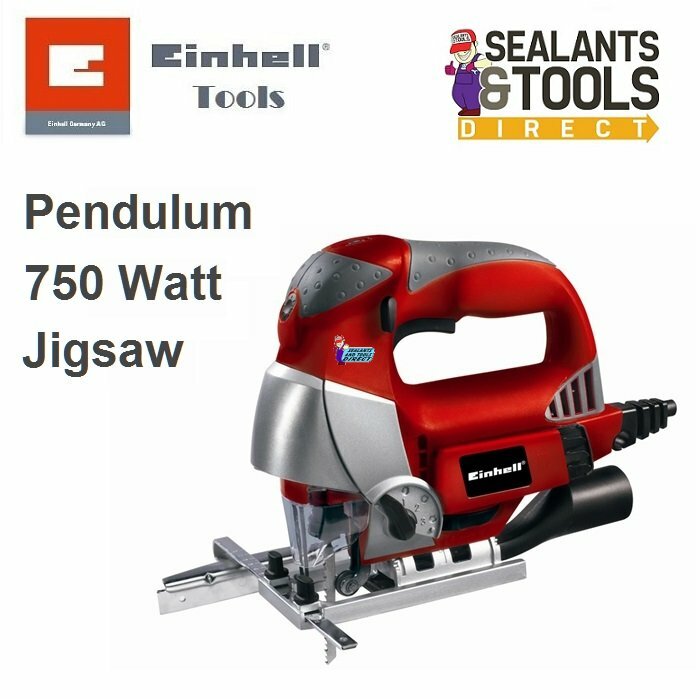 Einhell Electronic RT-JS85 Pendulum Jigsaw. Tool-free adjustable soleplate and easy-to-change blade. Uses both T & U shafted jigsaw blades. Full view of the blade allows easy, precise work. Electronically controlled stroke speed guarantees smooth operation. Integrated LED provides additional illumination in poorly lit work areas. The blades can be stored safely inside the machine. Tool-free blade change T-shaft and U-shaft. Saw blade storage on the unit. Aluminium soleplate adjustable without tools. Pendulum action with 4 settings 0/1/2/3. Hinged high vision transparent blade guard. Electric Jig Saws and Cordless Jigsaws available from stock.